Dedicated spaces for equipment including sound bar, subwoofer, DVD player, sky etc. Touch to open drawers either side with concealed full extension drawer runners. Made to fit the space. Touch to open drawers at base with concealed full extension drawer runners. 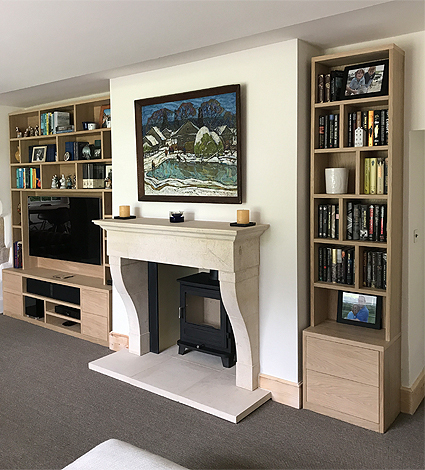 All of our bespoke Tv wall units are custom made to measure in a choice of materials.